Nigerian musician and song producer Babatunde Okungbowa popularly called OJB Jezreel is back to Nigeria after over 3 months in India. The singer is so thankful to God, Nigerians and his wife, Mama G who donated one of her kidneys to save him. OJB said his wife stood by him during the low period of his heart condition which also affected his kidney. Now back in Nigeria and recovering after he left for treatment in India in August accompanied by his wife, who donated one of her kidneys to save her husband. 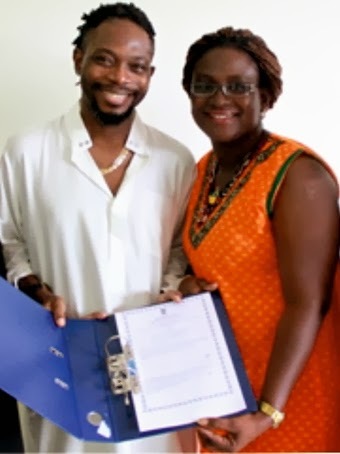 OJB has described her as a courageous woman and his life saver. But Mama G says they owe it all to God. She was not discouraged even in the eye of the storm, not even when the doctors analysed to her that the process would include the removal of one of her ribs and that she would be dissected all the way to her back. In a recent interview, OJB said most of the cheques people gave him through SAVE OJB campaign bounced back. Honestly, d likes of Mama G r rare. And she‘s destined 4 an uncommon gr8ness. A role model 4 modern women/wives. Love is all abt giving, emotional attachment n SACRIFICE. D Hunter wishes u d best of luck in all tins. You see the reason why men have to be royal and faithful to their wives and stop cheating on them with those prostitutes out there cos if any serious problems arise,they will run away but your second rib(wife)will always be there.men pls always be faithful and respect your wives.. 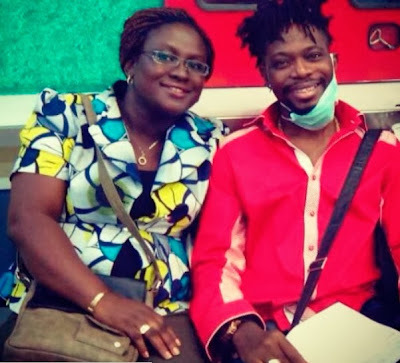 This is what till death do we part means,in sickness and all,blessed is he that have his missing rib by his side.Proud of you my lady.congrats OJB and thank God for the sweet result. OBJ don’t abandon this woman when she needed you most for your other women because in one of the interview you had with the media you mentioned you have three wives. All the same I thank God for your safe operation.